Keynote ‘14 files require Apple Keynote 2014 or newer. 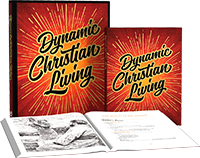 This edition of The Life of Christ Student Manual is designed for use in small church group settings. It does not contain student exercises or study text—only fill-in-the-blank outlines from the Teacher's Lesson.